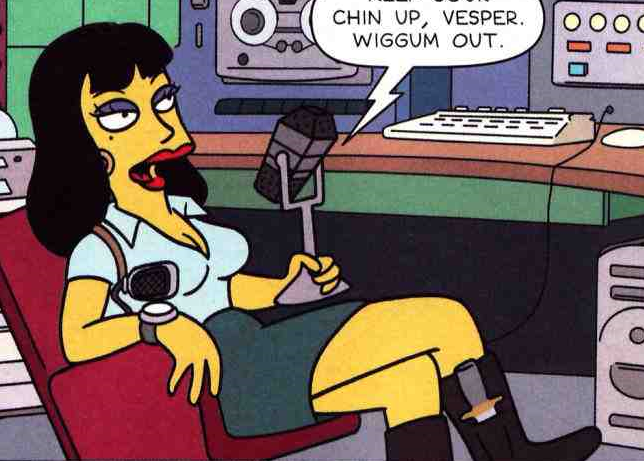 "The Trial of Maggie Simpson"
Vesper is a woman who works on the police radio. After Lisa told Clancy Wiggum that he is not a judge, he called Vesper on the radio and told her that Lisa should be placed on the no-fly list. Modified on May 29, 2013, at 11:42.